Well, okay. So that happened. Ben and I are here to unpack that absurdly long and fairly drab ceremony, so get ready for us to complain about everything that happened, as is tradition. B: So it’s come to this. 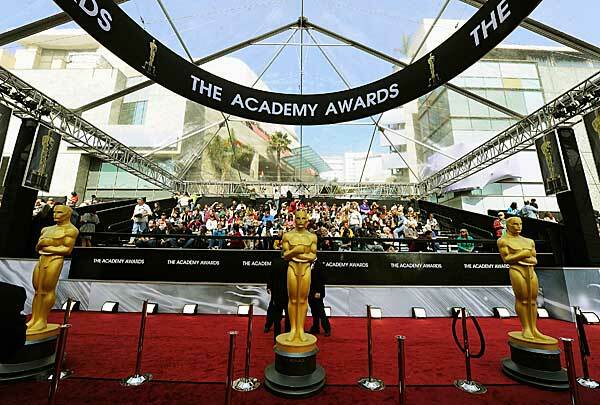 This Sunday, the 87th Academy Awards will take place, hosted by Mr. Host himself, Neil Patrick Harris. Will Birdman soar, or be taken down by Boyhood? Will Michael Keaton or Eddie Redmayne take home that golden statuette? And can Imitation Game please not win Adapted Screenplay?! Nina, aren’t you as excited as I’m not? N: I’m just anxious about my ballot at this point. The main categories have the potential for a lot of upsets, and no, I don’t mean American Sniper somehow winning. Let’s get to it! 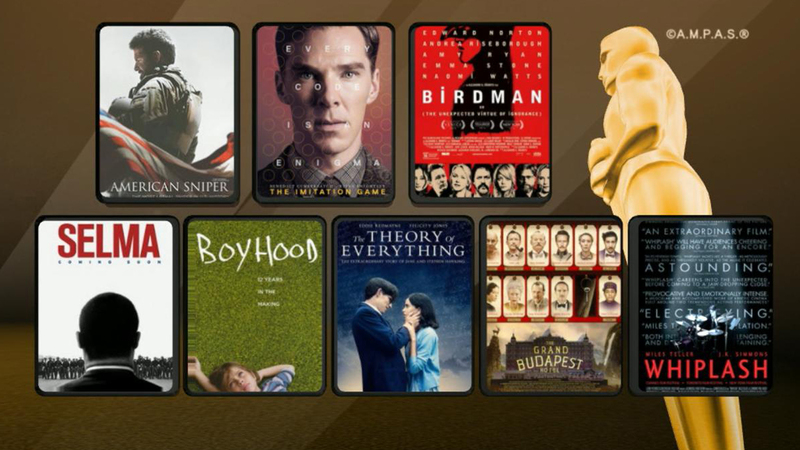 As we come closer to the Academy Awards on February 22nd, we’ll be posting short profiles of each Best Picture nominee, attempting, in our own ways, to not only sum up what the movie is about, but why we believe it scored one of the eight coveted nominations, and why it could possibly take home the big prize come Oscar night. Enjoy! I won’t lie – Whiplash is an intense and stressful movie. This should come as no surprise, since the film focuses on an obsessive music student, Andrew Neiman (Miles Teller) striving for perfection while studying under a sadistic teacher (J.K. Simmons) who drives him to the absolute breaking point. This is meant to be stressful – both for Neiman, and for us, but the film isn’t simply an uncomfortable two hours. (Though it is.) It’s a destruction of the teacher-student genre, a fable on the concept of “hard work,” and an exploration of whether or not perfection can ever really be achieved. It’s a little ironic that Birdman, a film that is at once a love letter to the purity of theatre and a giant middle finger to critics and awards, is tied for the most Oscar nominations this year – surely Riggan (Michael Keaton) and Mike (Edward Norton) are laughing about this over a glass of whiskey somewhere. That’s not to say Birdman isn’t good. Birdman is not just a great film, but a unique one – certainly one of the best eight pictures of the year, and in my estimation, one of the best two. The Imitation Game, at the very least, is culturally relevant. Alan Turing was only recently pardoned by Queen Elizabeth II in 2013, and his achievements were, as promised, kept mostly secret for 50-odd years. So, yes, that answers the question of “why this movie now,” but this film, which found itself in the running for Best Picture this year, still leaves a lot unanswered and leaves plenty to be desired.